A Patek Philippe wristwatch just became the most expensive ever sold at auction, shattering sales estimates and fetching $11 million. 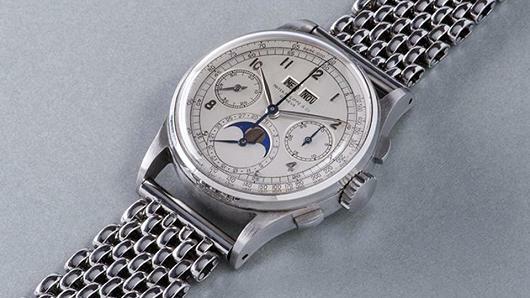 The timepiece, which was expected to sell for around $3 million, is a stainless steel Patek Philippe reference 1518. Its sale, conducted by Phillips auction house, topped the record set last year by a Patek 5016A, which went for $7.3 million. With only four known to exist, the 1940s-era watch saw bids from around the world. “Its world record result is a strong testimony that the watch market is universally accepted as an important pillar of the international art collector community, and that Phillips’ strategy focusing on watches of the finest quality is the winning formula,” Phillips’ Aurel Bacs said. The stainless steel Patek Philippe Reference 1518 was sold over the weekend as part of The Geneva Watch Auction: Four.